Michael Eavis is the founder of the world famous Glastonbury Festival, which beginning in 1970, has now been running for 45 years. 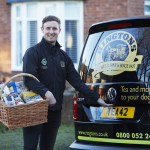 Michael was recently involved in choosing a new coffee machine for visitors to the Pilton Working Men’s Club who had been asking for a decent cup of coffee for years! 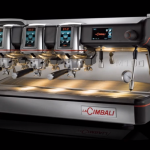 After sampling coffee from as many different coffee shops and coffee machines as possible, in Glastonbury, Shepton Mallet, Wells and Street, he eventually decided that the La Cimbali super-automatic S54 delivered the best cup of coffee and would be perfect for them. When high capacity and high quality are required, the S54 from the bean to cup series is the perfect machine. 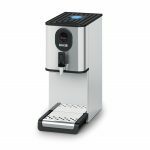 Its features include our Perfect Grind System (PGS), Turbosteam and Smartboiler technology, and it also has Thermodrive, which allows an individual water temperature to be set for each group according to the coffee blend and type of drink being prepared. 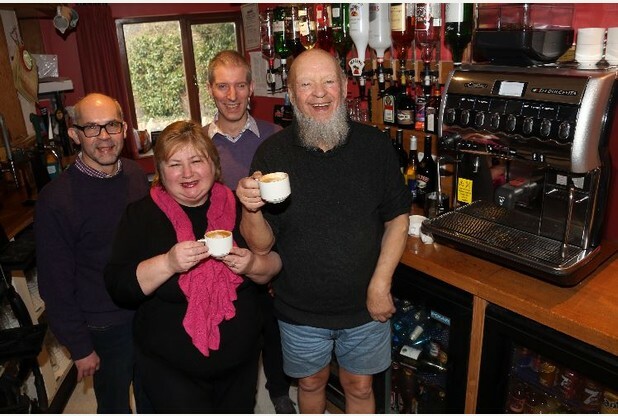 Photo left to right: Phil Buckley – Dusty Ape, Natasha – Site Manager, Michele Cecchini – La Cimbali and Michael Eavis.